Industry leaders including Walmart, Apple, Kroger, and Giant Eagle are testing sensor and beacon technology, while other retailers like Macy’s, McDonald’s, and Major League Baseball were leading the way back in 2014. Business Insider forecasts a total of 3.5 million beacons will be actively in use by U.S. retailers by 2018. Realizing time and data are of the essence, these retailers continue to explore sensors and beacon technology to enhance and personalize customers’ shopping experiences. Personalization is key. Take Kroger for instance. The grocer is conducting an experiment in 14 locations to determine the effectiveness of using sensors strategically placed throughout the store. The sensors detect a shopper in the aisle, and then use a digital display to suggest pricing and products for the shopper that are likely to appeal based on shopping behavior. These “smart shelves” can also automate pricing changes, measure inventory shelf-life, cue for restock, and display on-demand advanced product information like nutritional details. According to Retail Wire, Giant Eagle “reduced its out-of-stock replenishment time by two-thirds and cut its out-of-stock SKUs by 50 percent on any given day” using Microsoft Azure’s Powershelf product. Other examples of retailers using beacon technology include Hillshire Brands, Lord & Taylor, American Eagle, and Walgreens, to name a few. Hillshire Brands reported ads and coupons delivered using beacon technology in stores resulted in shoppers 20 more times likely to buy its American Craft sausages. 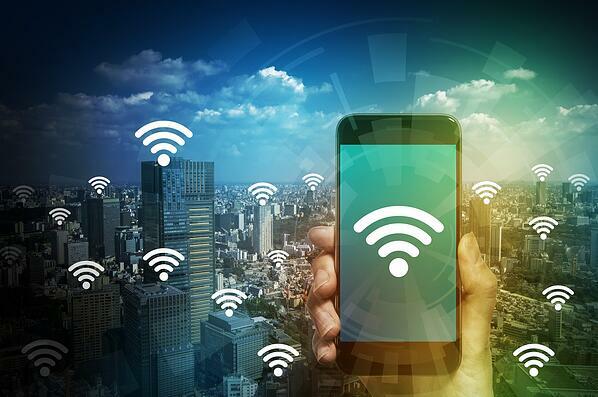 The benefits of utilizing beacon technology, while continuing to develop from experiments like these, shake down to two basic components — connections and data. As shoppers continue to opt for convenience and customization, beacon technology stands to play a role in helping the retail industry meet, and possibly exceed, customers’ expectations. Analyzing beacon data provides deep and actionable insights about customer behavior so retailers can ensure happy customers and higher return on investments.